Are you looking for funny prank apps for your iPhone or iPad ? If you love to use funny apps, this article can help you to find more funny apps for your device. In this article, we’ve listed some funny prank apps which are really useful to have fun with your friends. Some of these apps are only for iPhone but rest of these are universal apps that can also be used on your iPad. Check out these time killing funny prank apps. 1. Crazy HeliumBooth ( iPhone & iPad ) – One of the best funny prank apps on the Appstore that are available free of cost. Although you cannot access all of their features free but you can unlock premium packs through in-app purchases. The app lets you create funny videos, change your voice and add different types of effects to your photos. Very useful prank app to create Insanely hilarious Videos & Photos with different types of sound effects and funny facial effects. Crazy HeliumBooth lets you change effects during recording and also allows you to save and share your recorded videos to social sharing platforms. Recommended app for every iOS users. 2. 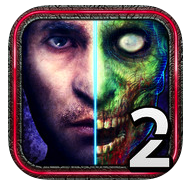 ZombieBooth 2 ( iPhone ) – ZombieBooth 2 is one of the best prank apps on the App store and it could be very useful to make your friends laugh. Although this app is a horror app and could be harmful for kids but lots of people enjoy this app because the app turns your simple innocent face into horrible face with sound effects. When you touch horrible face , it responds with horror sounds. Great app to kill your free time. 3. 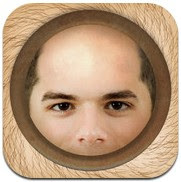 BaldBooth ( iPhone & iPad ) – Very funny prank app which can scare your friends by showing them as bald. Great fun photo app that lets you create instantly bald anyone on photo. Useful prank app that comes with social & email sharing options to share funny bald photos of your friends . 4. MixBooth ( iPhone & iPad ) – MixBooth is a great prank app by the creators of AgingBooth, FatBooth , BaldBooth & UglyBooth. 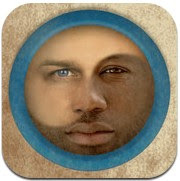 MixBooth allows you to generate totally a new face by mixing two different faces. Very useful and funny app that can be used to create realistic new faces. This app comes with some pre loaded faces which can be used to generate funny prank photos. Must have prank app for your iDevice. 5. 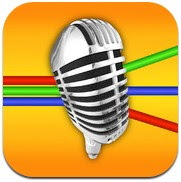 Voice Changer Plus ( iPhone & iPad ) – Voice Changer Plus is a very useful universal app that can be used to change your voice into many different types of sounds. Just record your voice and listen it to 40 different sounds without recording again and again. If you use premium feature, you can share your own photos with sounds on your Facebook account. Great free app that can be used to try many different sounds, including funny and horrible sounds. 6. Dude, your car ( iPhone ) – One of the best prank apps on the App store that can easily fool your friends or family members. Dude, your car is a great prank app that lets you add realistic damage effects in your car’s photo which can easily fool anyone. With this app, you can take picture directly from your iPhone or use your existing picture to add damage effects in your car. 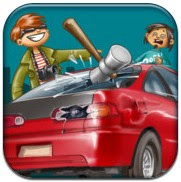 This app comes with different types of realistic damage effects such as Scratches, Dents , Broken Glass , Car boot ,Fire or Smoke. You can also adjust shape, size , opacity and brightness to give totally real look. Very useful prank app to fool your friends.